With the development over the past few years of online crowd funding, websites like GoFundMe have gained in popularity at an exponential rate. Since its inception, GoFundMe claims to have raised over $1.2 billion through its website. Quite remarkable. As a personal injury firm established in South Florida for over 38 years, Leesfield Scolaro has seen first hand how a catastrophic event can transform an otherwise financially sound family into needing quick cash to pay next month’s mortgage or pay last month’s car payment that is over due. 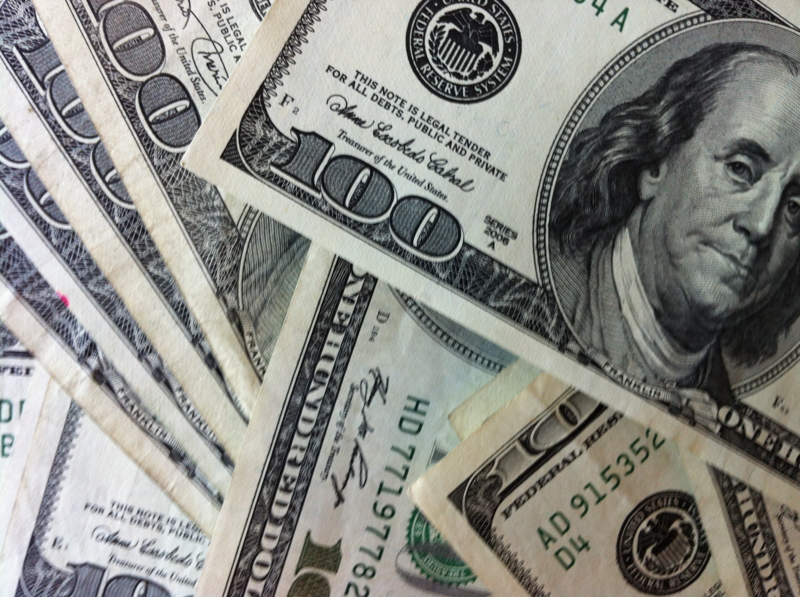 In Florida, the Florida bar prohibits attorneys to loan money or advance cash to their clients. The only option to clients in the most dire situations was to contact a financial firm specialized in short-term loans based on lawsuits, more commonly called lawsuit loans. These loans are essentially an exchange of money for a promise of repayment + interest. While the idea of helping out people in temporary need until their case settles is a very noble one, abuse quickly became the norm. Today, these lawsuit loans are mainly operated by small entities who charge an exorbitant interest rate. Let’s say a father is involved in a catastrophic incident that leaves him incapacitated. He remains at the hospital for several weeks, followed by months of physical therapy. During the entire time of recovery, he is unable to work and provide for his family, his wife and two children. Because of their situation, the family is able to pay their bills for the first two months, such as the mortgage, school, car payments, and food. When the second and third months come around, the family can no longer pay their bills for lack of income. Despite having hired a personal injury attorney to work on their case, it will be months, maybe a couple of years before they could recover any money for the incident. What are they to do? Up until five years ago or so, a lawsuit loan was the answer. Because of their time of need, the family agrees to a large loan with an outrageous interest rate, and by the time their case settles, they will have to repay the lender three, four, sometimes five times over, the value of the initial loan. In many situations, the lawsuit loan will make it even more difficult for clients to keep their head above water because the settlement money they counted on is now almost entirely swallowed up by the company who loaned them money early on. For example, out of a settlement amounting to $100,000, a client with a $25,000 loan is likely to end up with less than $10,000 to his name after fees, costs, medical bills/liens, and lender are all paid back. It has always been our firm’s policy to advise every single client of Leesfield Scolaro against lawsuit loans. The risks of owing so much money to a lender are too great, especially when their case is difficult from a legal standpoint, or because of limited insurance coverage available to them in the first place. Today however, there is an alternative to money hungry lawsuit loans: Online crowd funding. While people must do their own research and read all the terms and fine prints of the many websites who offer such online crowd funding solutions, GoFundMe’s business model seems to be the perfect solution for people whose life was turned upside down due to the negligence of another person. In just a few easy steps, users can create their own website to describe why they need to raise money. They can link the website to their existing social media pages, like facebook where they can share the progress of their fundraising campaign with their friends. Unlike lawsuit loans that accumulate interest over the life of the loan, GoFundMe generates revenue by automatically deducting an 8% fee from each donation users receive. 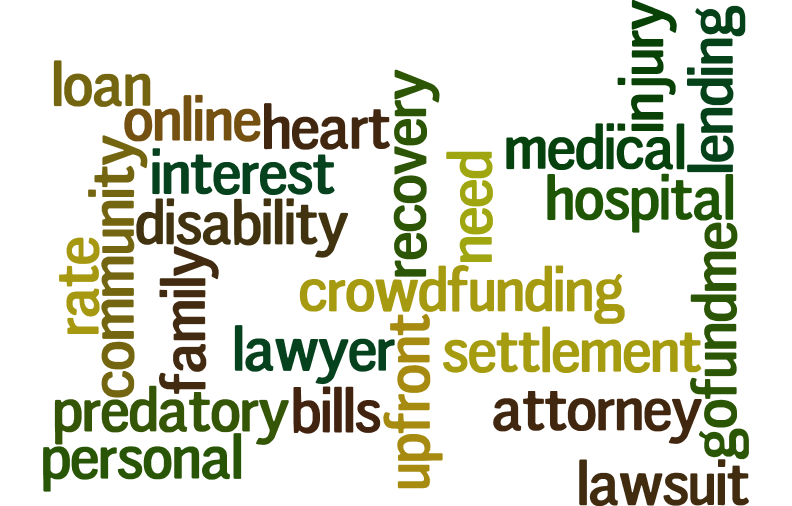 Not only does online crowd funding, such as GoFundMe, allows people in need to survive, but their net recovery from their personal injury lawsuit will not be swallowed up by the website. In that sense, online crowd funding truly acts as a supplemental resource when people need it the most. If you have been involved in a terribly life-changing event, look into online crowdfunding as an alternative to short term lawsuit loans. It has been our firm’s experience that in the face of tragedy, a community of people, even sometimes strangers, will unite and help others who need a helping hand while they get back on their feet. Tagged: "lawsuit loans", "Leesfield Scolaro" and "online crowdfunding"